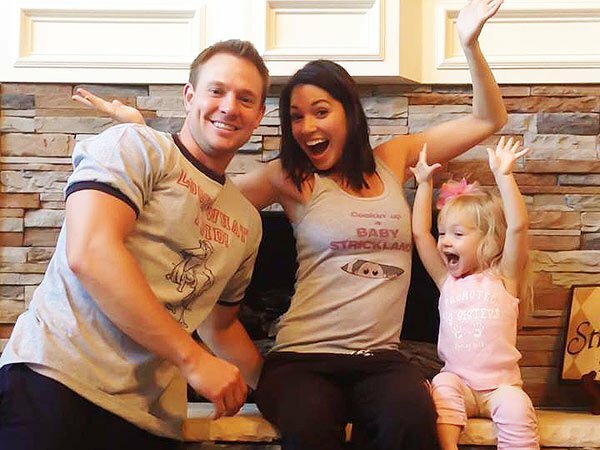 Melissa Rycroft and her husband Tye Strickland have confirmed their baby No. 2 will be a boy, Us Weekly reported. The married couple of three years are already parents to a 2-year-old daughter, Ava. “When I found out [I was having a] boy, I just got really excited! And Tye, he’s such a guy’s guy, so personally I’m really happy he gets to do all his boy stuff,” Melissa Rycroft told Us Weekly. “It’s so funny the first thing out of his mouth was, <<I feel so much responsibility now!>>” she said of her husband. Melissa Rycroft, 30, who is 17 week pregnant, announced the baby’s gender to the couple’s parents in a small get together by revealing the color blue inside cupcakes. “Ava was the one who ate the cupcake to let everyone know,” the Season 13 Bachelor alum said.